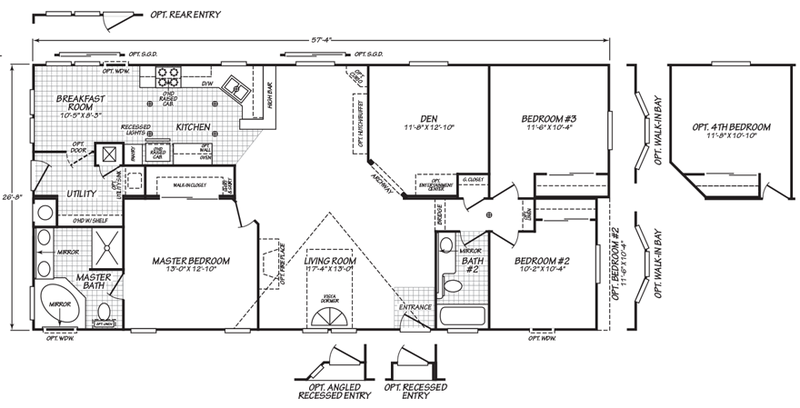 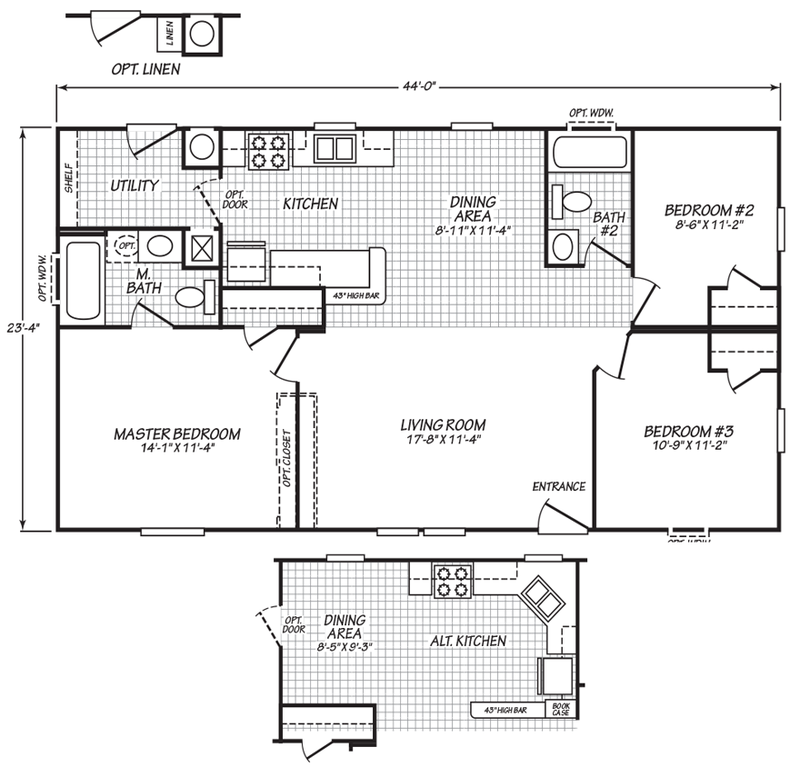 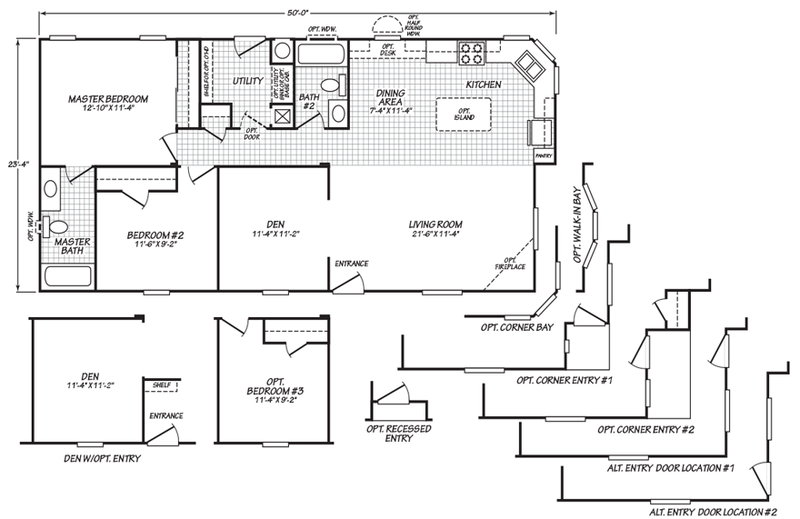 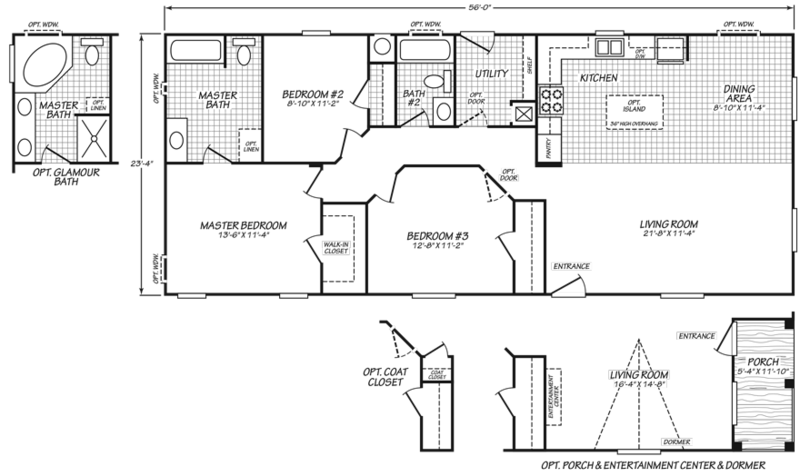 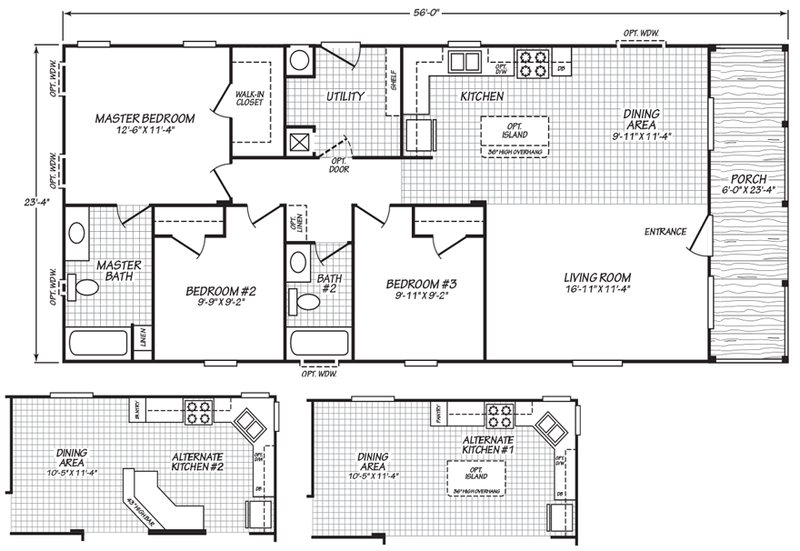 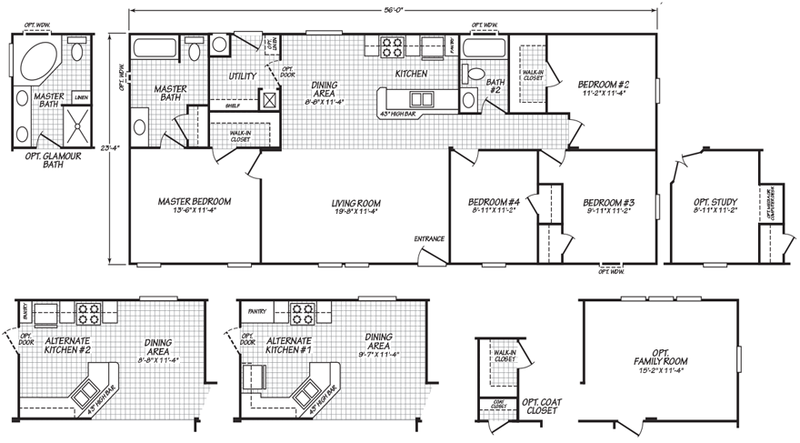 Enjoy exploring our extensive collection of Double Wide floor plans. 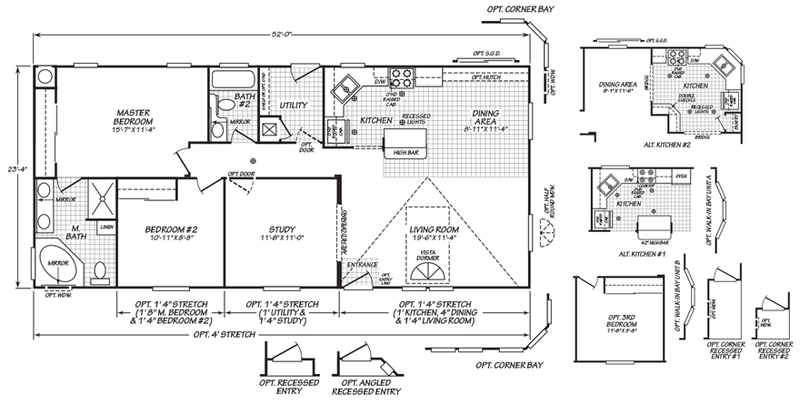 Double Wides, also known as Multi-Sections, represent the largest and broadest category of manufactured home. 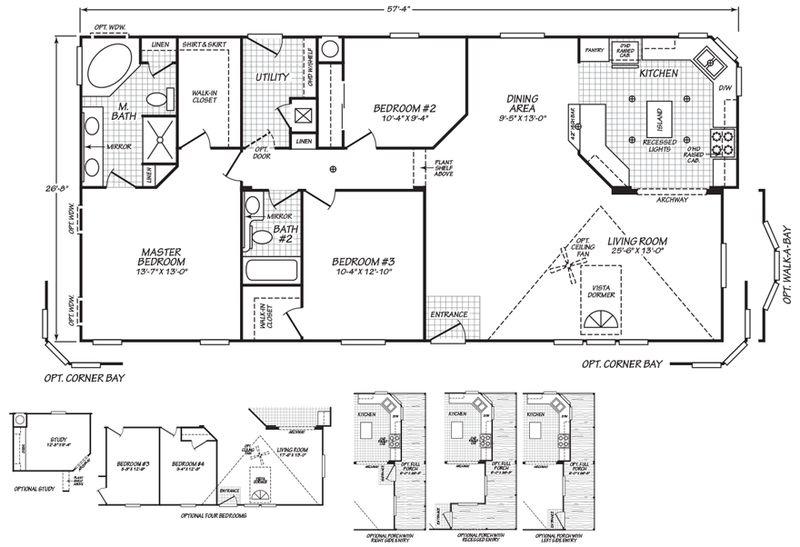 Very popular with first-time homebuyers, park owners, empty nesters and those looking for secondary homes, they can range in size from 852 square feet to 2,313 square feet. 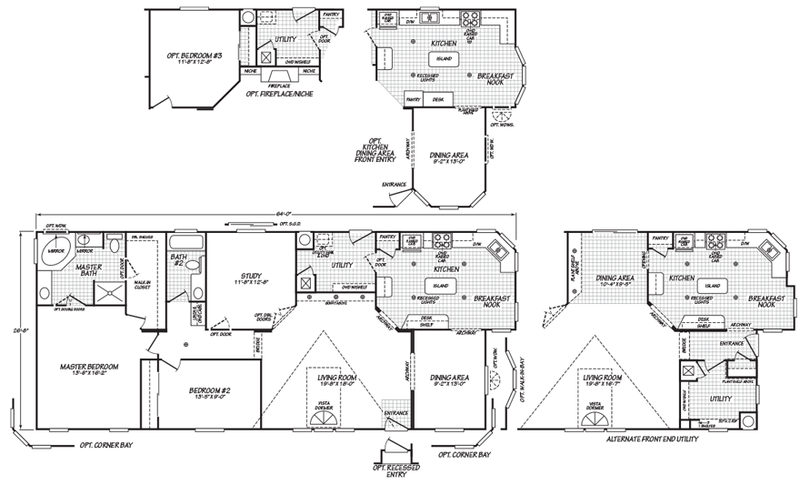 The collection below represents a full cross section of Double Wides manufactured homes in every available series. 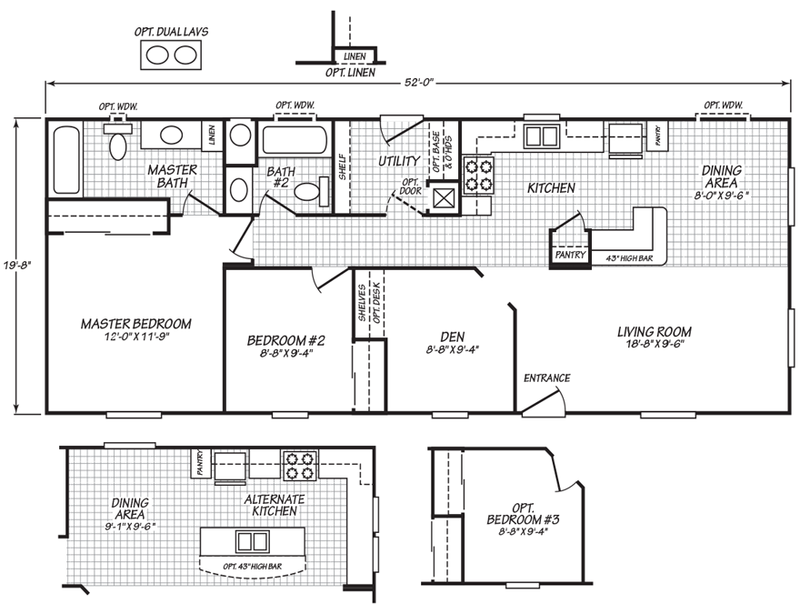 Click on the “Learn More” below to learn more about each model’s standard specifications.